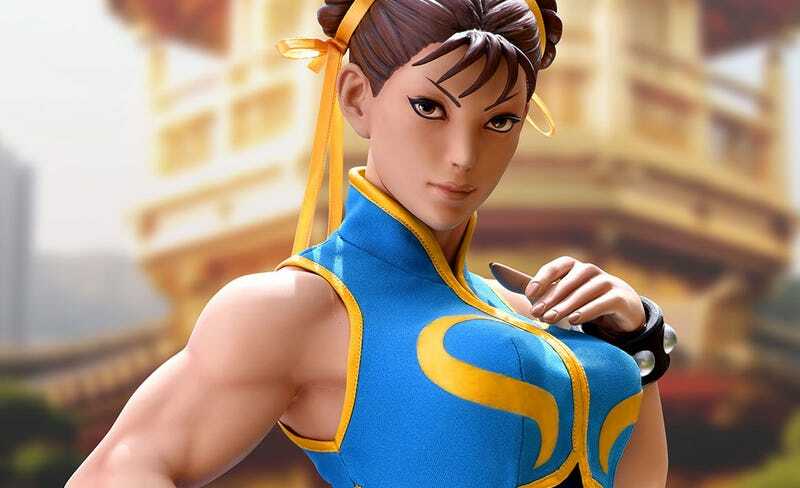 Pop Culture Shock Collectibles are releasing a Chun-Li statue that comes in three distinct varieties. The cheapest are not cheap by any definition of the word. The three versions are a classic Street Fighter II outfit ($925), her Street Fighter Alpha skin and her “battle dress” from Street Fighter V (both $900). They’ll all be out in Q4 2018—presumably so you have time to take out a second mortgage to afford one—and stand 30″ (76cm) tall.